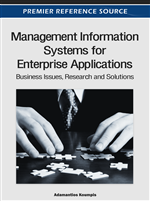 This chapter deals with an ambitious Management Information System goal: the creation of open source supply chains. It starts with some basics and background for the open (source) supply chains, discusses relevant architectures and modelling work, proceeds to an analysis of real-world business cases and the related application scenarios, and presents an open source reference model. In current e-commerce frameworks, the issue of dynamic supply chain establishment and supply chain life cycle management is still misrepresented and not addressed adequately. Registration, advertisement, and change management for complex products and services heavily relies on proprietary application programming interfaces and protocols as well as emerging and partially competing (pseudo)standards. In recent years effective management of materials flow across the Supply Chain has gained great prominence as industry experts estimate that the cost associated with it represents the majority share of operating expenses for most organizations. As such, one of the main promises that Supply Chain Management holds is the opportunity to improve this flow of materials across the Supply Chain, from the perspective of the end user, while reducing at the same time the various Supply Chain cost types. This is one of the main reasons why we are currently witnessing a surge in the Supply Chain field, reflected by the implementation of different Supply Chain models, supported by different industry frameworks and standards, while in addition to these models, companies are implementing their information infrastructures based on a variety of technologies and architectures. These technical evolutions have to be integrated if we want to produce scenarios of re-usability and scalability in the area of Supply Chains, but also if we want to enable the business integration of Supply Chains that have been built based upon and embracing different frameworks and standards. In other words, the challenge faced here deals with bridging the gap between the Business Model of a Supply Chain participant supported by a specific platform with the Business Model of another Supply Chain participant supported by a different platform, identifying at the same time the role that existing and emerging standards can play in such a process. The above statements set the boundaries of a research area within which was conceived and lead as part of the European Standardisation organisation CEN/ISSS and the E-Commerce workshop which was lead in an incomparably superb way by Man Sze - Li. Our aim was to develop a Reference Model for promoting the establishment and lifecycle management of interoperable and scalable, according to business objectives, Supply Chain communities, able to embrace different technologies and standards, ensuring this way open future collaboration. The Open Source project concerns the identification of commonalties amongst a set of operational European RTD projects in the IST Programme, that reside in the wider area of E-Commerce, aiming to harmonize efforts for the establishment of common methodological and technological building blocks in the area of smart organizations, taking into consideration relevant Standardized models and methodologies developed by respective bodies and European as well as international research consortia. As already mentioned, the overall objective of the project was the development of a Reference Model for promoting the establishment and lifecycle management of Open Supply Chains and the related technical specifications to enable reusable software components for communication between autonomous Supply Chain nodes scalable according business objectives, by drawing on the base technologies being developed within the context of a number of active IST RTD Projects that reside in the area of networked organizations. By providing common terminology, perspective and measures, the Open Source Reference Model intended to provide Supply Chain players with facilities to first describe and configure their internal Supply Chain related business processes to reflect current business activities and product manufacturing resources. Then, organisations can establish standard process descriptions and metrics for use with external Supply Chain participants inside and outside their industry segment; determine priority improvement efforts and quantify the anticipated benefits of specific improvements. Material presented in this chapter is based on the results of the first phase of the Open Source Supply Chains Workgroup of the e-Commerce Workshop and generous input to the author has been provided by considerable number of organisations and people, both within and outside the Open Source Group of CEN/ISSS EC/WS, which provided contributions, comments and other assistance during the lifetime of the project. However, I feel indebted to limit my gratitude only to three people: my dear Man Sze Li who lead the E-Commerce workshop, my same dear Bruno Lorenzelli then manager of the clustering initiative of CE-COM and finally my good (dear as well) colleague Filippos Koutsakas who came extremely close to conducting even a postgraduate research thesis on the subject though he escaped the challenge at the very last moment. My sincere thanks to all three of them!